Back to Home Page 12/31/01 rev 03/22/02 Installing OS 8 & OS 8.1 on 68030 Macs Thanks to Vintage Box : 68k Mac - OS 8/030 for the OS 8 & 8.1 hacks. Following are methods for installing OS 8.0 and 8.1 on 68030 Macs made with 32 bit clean ROMs. These Macs have been reported successful with both OS 8.0 and 8.1. This page shows how to do it with the SE/30. Color Classic II; PowerBook 150, 160, 165, 165c, 180, 180c; PowerBook Duo 210, 230, 250, 270c.  Minimum of 12MB of RAM.  Single hard drive, minimum of 44MB free space. Hard drive must have boot OS 7.0.1 (or higher), and also ResEdit 2.1.3, System_Picker 1.1a3, os8-030patch.rsrc, and Wish I Were 2.0. Boot from hard drive OS 7.0.1 (or higher). Drag Wish I Were control panel and Wish I Were extension to hard drive OS 7.x.x System Folder icon. Set Wish I Were control panel to 'Quadra 700', close all control panels, and reboot. Launch the 8.0 Installer and select Installer options "Clean Install" and "Easy Install".  Replace 'boot' resource 'ID 2' with same resource from 'os8-030patch.rsrc'.  Replace 'gbly' resource 'ID -16385' with same resource from 'os8-030patch.rsrc'. ?? 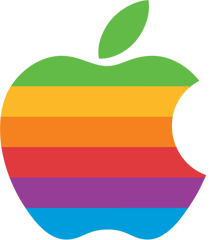 Mac ØB IIci ØD IIfx 12 IIsi 2C IIvi 3Ø IIvx 53 Color Classic II 1B LC III 3E LC III+ 38 LC 520 5Ø LC 550, 560 53 Performa 275 1B Performa 450 3E Performa 460-467 2D Performa 600 1D PowerBook Duo 210 2Ø PowerBook Duo 230 26 PowerBook Duo 250 4D PowerBook Duo 270c 73 PowerBook 150 22 PowerBook 160 54 PowerBook 165 32 PowerBook 165c 21 PowerBook 180 47 PowerBook 180c .  'SIZE' resource 'ID -1', change 'Size' to '1310720'. Hard drive must have OS 8.0 which was installed per above, and also ResEdit 2.1.3, System_Picker 1.1a3, os8-030patch.rsrc, 8.1 Update, and Wish I Were 2.0. Set Extensions Manager control panel to 'My Settings' and check all boxes. Set Wish I Were control panel to 'Quadra 700'. Close all control panels. Use System Picker to reboot from hard drive OS 8.0. Open the 'Update to Mac OS 8.1' installer and in Options uncheck 'Update Apple Hard Drive Drivers'. Run 'Update to Mac OS 8.1' installer. '00?? 0006', where ?? is the same code that was used for installing OS 8.0. "Performa computers have the same MachineType resources as their Macintosh counterparts." We in no way used Born Again to install OS 8 or OS 8.1 on our 68030 Macs.